Let’s end June with a bit of fun! 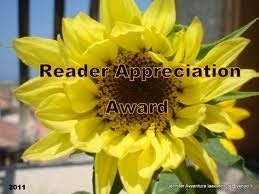 I’ve been honored with a Reader Appreciation Award by author and blogger Michael Rupured. You really should read the wit and wisdom of his blog My Glass House. I’m not just saying that because I had the honor of editing two of his manuscripts: Until Thanksgiving, a wonderful work of romantic fiction, and his memoir Glass Houses, that illustrates in vivid color that it’s never too late to discover your truth and start again, and that in a crowded world it only takes a handful of the right people to shape a life. Michael’s a fabulous storyteller and his blog is an appetizer. The main course is coming. Like Michael, I realize awards like these aren’t Pulitzers, but there are so many bloggers out there who write from the heart, write well, and tell stories of importance. We read each other’s entries, like them, share them, and support them. It’s hard to blog to change the world, but nothing says we can’t create a few ripples. I love and appreciate every award I’ve been given, and I try to pay it forward every chance I can. Paying it forward is one of the stipulations of the Reader Appreciation Award – and you’ll find those recognitions below. I chose five individuals I’ve only begun following recently, and I hope you’ll check them out as well. 1. What is your favorite color? Orange – from mimosas to sunsets to pumpkins. Construction barrels? Not so much. 2. What is your favorite animal? The South American Harpy Eagle. I saw one up close a few years ago…well, as close as one can get without becoming a snack…and I looked into its eyes. I understood at that moment why some cultures worship animals. Even in captivity, it radiated enormous power and dignity. 3. What is your favorite non-alcoholic drink? Regular ol’ brewed coffee with half & half. 4. Facebook or Twitter? I don’t have a Twitter account…but I’m not sure Facebook is a favorite hangout anymore either. Mostly because they keep messing with a good thing. I keep in touch with friends and family around the world though, and that’s a good thing. 6. Do you prefer getting or giving presents? Giving! Especially when I can give one for no reason at all. 7. Favorite number? 139. 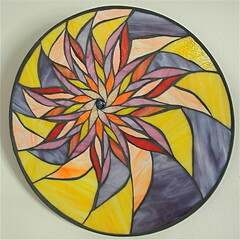 Psalm 139 changed how I viewed myself – my physical self and my better self. 8. Favorite day of the week? Friday! There’s a whooole weekend ahead! 9. Favorite flower? Any that are growing in wild abundance. Picking one favorite is tough. Sunflowers are high on the list, so are zinnias and bachelor buttons. But that does not make the story any less important. I had a memoir writing instructor tell me once, “Because you remembered, it deserves to be told.” The same could apply to fiction – because you imagined it, it deserves to be told. On that note, I have five blog nominees to share…and a special kudo for a young writer who turned her NaNoWriMo effort into her first book at the age of eleven. Thoughts on Theatre: yes, okay, I’ve nominated her before. But her blog never fails to make me love, smile, think, and DO. Check out “Bite-Sized Wisdom”. Freedom Junkie – Ana Neff: If you look up “storied life”, her photo is under it. Not all of it was pretty, but she Lives life, with a capital L.
And a special Reader Appreciation Award for Hannah F., whose book Woodlands Fight will soon be available on CreateSpace. I know I appreciated being able to read it! And I know you have an excellent future ahead of you! When I sat down to ice cream for a little overdue one-on-one time with my teenager, I was not expecting to talk about faith, forgiveness, and Holocaust poetry. My daughter with some kind of Chocoholic’s Blizzard, and myself with a Peanut Butter Bash sundae, we started out talking about her mission trip to Chicago last year, and how on the way back they stopped for ice cream and she tried a Blizzard. She was hooked. I contemplated adding one of my pastors to speed dial. “Can you be a little more specific, kiddo? Whoa. People who don’t “deserve” to be in this world? Part of me thought, This child thinks the world is an inherently good place and there are certain people who are damaging it. But “deserve” struck me as harsh coming from someone so young. It would take hours to debate who deserves what and why there are evil people in the world. And good and evil are perceptions. People do awful things because they’re convinced they are right. And people do evil things because they are ill. And others do evil things as an instantaneous reaction. Many shades of gray. I chose to look past the “deserve” part and get at what she really seemed to be asking: how do you forgive? And what do you do when you believe in forgiveness, but can’t rationalize forgiving someone for something heinous? I believe that to be true, but I wasn’t sure I was answering the question. So I went a different route. She seemed to think about this. I know I was…turning over my own thoughts on faith and forgiveness. I remembered some of Jesus’ final words from the cross: “Father, forgive them. The do not know what they do.” It reminded me that I’ve been forgiven many times – by God and by people I may have wronged. Knowing that I’m forgiven makes me want to try to “do better.” I might not succeed, but I keep trying. Part of me is glad that my daughter is not one to follow blindly. She questions, and in my mind, that’s not only okay…that’s good. The poem was actually written after the Holocaust and not literally inside a boxcar. It’s “written in pencil in the sealed railway car” by Dan Pagis – poet, teacher of medieval Hebrew literature, concentration camp survivor. Another translation shows the fifth line as “cain the human being”. I’d never heard of this poem before, so my almost-16-year-old taught me something. Forgiveness isn’t easy. I sat across from my daughter, marveling at how important this concept, this philosophy is to her. I know she’s forgiven plenty, including the boys who bullied her in junior high, and the girls who talk about her behind her back. Part of me longed for an easy conversation about music or shoe shopping. Yet this person across from me, like many of her friends, are the answers we seek. The peacekeepers and peacemakers. Wisdom doesn’t always come with age. Sometimes it just comes from paying attention. The graduating classes of 2012, 2013, 2014, 2015…they have their work cut out for them. But I think they know more and understand better than many of us ever will. I feel obligated to help them succeed. Yes, writers in Cleveland, Akron, Canton, Dayton, Toledo, Cincinnati, Ann Arbor, Temperance, Lima, Westerville, Youngstown, Marietta, Athens, Bowling Green, Eastlake, Erie, Pittsburgh, and all points betwixt and between…this is for you! What are you doing Saturday, March 31st? Your spring cleaning can wait a week. 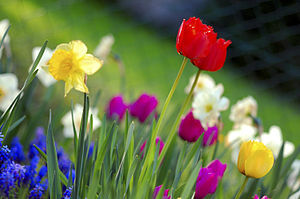 Don’t even try to plant your flowers – you know we can still get freezing rain or several inches of snow well into April. So there’s still time to indulge your creative side before you really have to even think about mowing the lawn or painting the porch, right? I’ve got the perfect idea. Come to the Western Reserve Spring Writers Conference at Lakeland Community College in Kirtland. It’s a half-day conference – 8:30 a.m. to 1:30 p.m. Choose from twelve different informative presentations, network with fellow writers, and ask questions of the experts at a Q&A panel at the end of the day. You can even sign up to meet one-on-one with professional editors (including me!) to discuss samples of your work. I’ve participated in the last five Western Reserve Writers Conferences and enjoyed every moment. I leave the fall and spring conferences with new insights and more motivation every time. And as a consulting editor along with Nancy Piazza, I have the honor of reading the stories of others and steering them closer to publication. It’s my favorite part of the conference – meeting other writers and seeing what lights their creative fires. The Western Reserve Spring Writers Conference is friendly and casual, and an affordable way to stoke your creative fires. Registration is just $69 or $79 if you include an editing consultation. You do need to register in advance for the editing sessions, by the way, and there are only eight slots available, so grab ’em while they’re available! Carole Calladine and I met at Deanna’s Women Writers Retreat and Carole then spoke at the 2009 Write Brain Workshop I coordinated. She has a gift for distilling the elements of story building and conjuring “ah-ha” moments in writing. She’ll present “The Yellow Brick Road to Storytelling”. I am looking forward to Liana Laverentz’s sessions on “Writing Beginnings, Middles, and Ends” (each has their own unique challenges) and “Ideas to Boost your Creativity”. poet, food writer, and radio and podcast host Gail Bellamy will talk about writing for trade publications; Diane Campbell Taylor will present the do’s and don’ts of critique groups; columnist and author Claudia Taller will help you connect with your writing life and focus your goals; murder mystery author Peter Grondin provides insights into self-publishing; and romance writer Julie Anne Lindsey helps you “Get the Facts, Make a Plan, and Get Published”. And, of course, two editors are at your disposal to provide one-on-one critiques and helpful feedback. We don’t bite, I swear! We want you to succeed! The March 31st Western Reserve Spring Writers Conference is fun and informative, and Lakeland is in beautiful, historic Kirtland. It doesn’t get much better than that. Register at www.lakelandcc.edu through the Continuing Education page (the deadline is coming quickly). I look forward to hearing about your project – and maybe even reading it!